9/16" Diameter Natural Nylon Plastic Rod - Price Per Foot -Cut to Size! 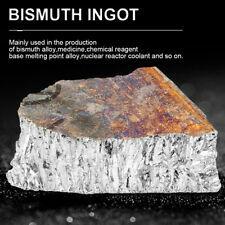 Symbol: Mg. High Purity: 99.99%. Length: Approx. The colors may be a little difference for the different monitor display. Canada, United Kingdom, Austrilia, France, Germany, Spain, Ireland, Italy, Others. 1 x ABS plastic plate. Material:ABS plastic. Application:Food industry parts, building models,into the phase of electronic industrial components, refrigerator refrigeration industry, electronic and electrical fields, the pharmaceutical industry, etc. Good machinability, easy welding. 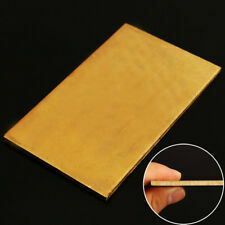 1 x brass sheet (coin is not included). Material: brass. Size: approx. 60 100 3mm. I send goods within 12 hours. Other country. Brazil, Spain, Canada. 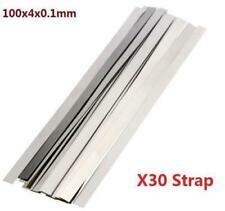 1 x ABS Plastic Sheet. Material: ABS plastic. 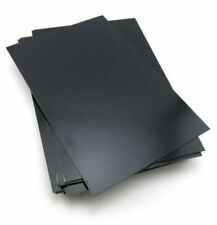 Black ABS plastic sheets. Perfect for car audio installation. Color: Black. Detail Image. Size: approx. 300 300 0.5mm. Copper purity: >99.9%. This international order may take longer to arrive. Size : 0.10mm thickness fixed width 200mm. Size : 0.20mm thickness fixed width 200mm. Size : 0.30mm thickness fixed width 200mm. We will do our best to help you resolve the problem. MPNDoes not apply. If you don't receive. Material Type: 6061 Aluminum. 6061 Aluminum can be welded using all the common welding techniques. Shape: sheet. 1pc x Aluminum plate. Color: silver. Wear resistant and easy to clean. I send goods within 12 hours. Material: copper. Copper purity: 99.9%. Suitable for playing fine, fine playing, good thermal channel, workability, ductility, corrosion resistance and weather resistance. Good electrical conductivity, thermal conductivity, corrosion resistance and workability, welding and brazing. Size: approx.0.02×100×1000mm. Material: Brass. Leveling and cutting board. Hard and strong, excellent ductility and good machinability. Canada, United Kingdom, Austrilia, France, Germany, Spain, Ireland, Italy, Others. High strength, good plasticity. 5 x Titanium Rod. Material: Titanium. Grade: Grade 5. Color: silver. Light in weight. Total length: approx. Type: 2020 aluminium connecting fastener. Rigid connection, used to connect pieces of 20mm aluminum extrusion at a 90 degree angle. 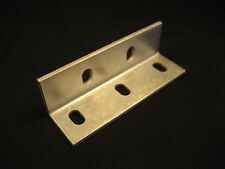 25 x 2020 Corner Brackets. Size: approx. Material: Solid Cast Aluminum. 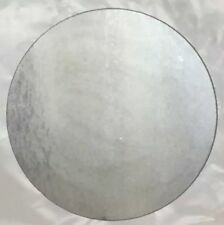 This pure Nickel sheet is an ideal material for a sacrificial anode for electroplating. Perfect for galvanic plating of Nickel, we personally tested and got the perfect result. Suitable for all galvanic plating needs, that require very high purity. Length: 30cm. 1 x Acrylic Tube. Material: Acrylic. Color: Clear. 1 x Copper Plate. Material: copper. Copper purity: 99.9%. Size: approx. USA, Canada, United Kingdom, Austrilia, France, Germany, Spain, Ireland, Italy, Others. Canada, United Kingdom, Austrilia, France, Germany, Spain, Ireland, Italy, Others. Material: acrylic. Color: clear. Length: approx. Thus, sanding is required. · R-Hop is the single most important part in airsoft that extends your range to over 60m/200ft. Therefore, NO SANDING is required. A Flat-Hop bucking is required. Grade of this Ti rod: Grade 5. Material: titanium alloy. Good corrosion resistance, good thermal stability. Length: approx. Color: as picture shows. 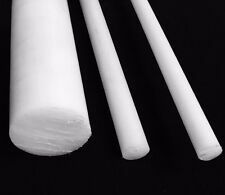 In the air of normal temperature, the surface will form a layer of zinc carbonate film. It can prevent further oxidation. Zinc plates are widely used in exterior and interior room decoration, electrical, electronic goods, auto parts and drainage pipes. 1 Piece Clear Acrylic Plexiglass Sheet. 12" x 24" x 1/16" thick(1.5mm). 5.9oz / 200gsm. Carbon Fiber & Red Kevlar. This item is listed by the linear yard, which is 36" long by the 12" width. We will leave the fabric in one continuous piece. We will ensure that the weave will never distortion. This pure Nickel sheet is an ideal material for a sacrificial anode for electroplating Perfect for galvanic plating of Nickel. Suitable for all galvanic plating needs, that require very high purity. Shape: round rod. Color: brass Tone. 2pcs x brass rod. Material: brass. 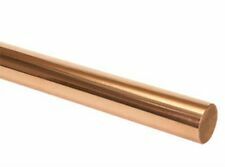 Brass is used for decoration for its bright gold-like appearance; for applications where low friction is required such as locks, gears, bearings, doorknobs, ammunition casings and valves. 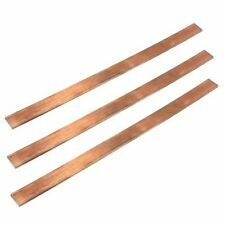 Material:pure copper. Panel Size：100 100 0.8mm（L W Thickness）. I send goods within 12 hours. Usually I will respond in 24 hours. Australia, United Kingdom. 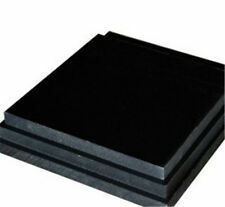 1 pcs 300X300MM (12"X12") Silicone Rubber Sheet. Apply to punch all kinds of rubber seal gasket or special for PVC vacuum laminating press, wooden door vacuum laminating press, glass vacuum laminating press, solar vacuum laminating press, hot laminating press and card laminating press etc. Magnesium Alloy Sheet AZ31B Plate Silver 1x100x100mm 3.9" x 3.9" x 0.4" Silver. Manganese 0.2-1.0. Magnesium Balance. 1 x 100mm x 100mm x 1mm Magnesium Alloy Sheet AZ31B Plate. Zinc 0.6 - 1.4. Material:Aluminum alloy. 1pc x acrylic tube. Color: transparent. Material: acrylic. Easy to cut with disc saw. I send goods within 12 hours. Usually I will respond in 24 hours. 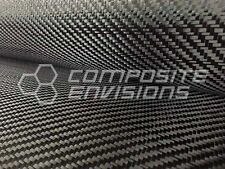 Temperature Range: -20° to 400° F. 1 xRubber sheet. Material: Rubber. Avoid by acid and alkali and oil pollution, do not open to prevent avoid direct sunlight. Smooth Finish. Color: Red. Width Tolerances: /-3/16". Volatile, odorless, non viscous, and strong solubility. After a while, it will stick. (Note: there is no need to use too much amount of glue. Using adhesive tape or rubber band to fix the next thing, punctuate infiltration. ). 1pc x Stainless Steel Tube. Material: 304 stainless steel. Corrosion and oxidation resistant, high temperature resistant. Color: silver. Length: approx. USA, Canada, United Kingdom, Austrilia, France, Germany, Spain, Ireland, Italy, Others. Material: Phenolic Resin. Size: 200 x 200mm. 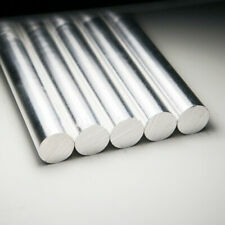 1 x Aluminum 6061 Round Rod Φ25mm x 200mm. Material: Aluminum 6061. I send goods within 12 hours. Usually I will respond in 24 hours. Long: 9cm(3.54in). Symbol: Mg. High Purity: 99.99%. ModelA4 clear acrylic Plexiglass sheet. 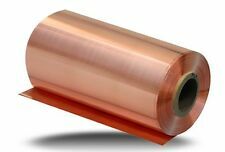 Material:Copper surface plated with gold or platinum. And this area is the details contents of your policies. [ Policy: The above tab label style can be modified in left Basic - Footer Policy section. ]. 1Pcs Plastic Flat Sheet Plate. DO NOT DUPLICATE OR COPY! Color: Black. ALLOY: STAINLESS STEEL. This international order may take longer to arrive. Outside the United States. Temperature range: -20°to 400 °F. Material: rubber. Avoid by acid and alkali and oil pollution, do not open to prevent avoid direct sunlight. Smooth finish. Length: approx.152mm. Length tolerances: ±3/16". USA 99.95% Zn High Purity Zinc Rods Solid Round Bar Anode Electroplating 0.4"x4"